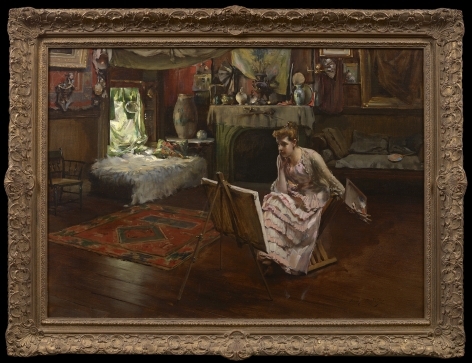 In the 19th Century, many genre painters paid detailed attention to the interior backdrops in which their figures were positioned. 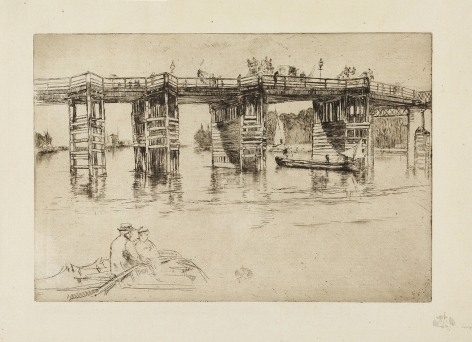 Felix O. C. Darley, Jefferson David Chalfant, Francis Edmonds, and Thomas Waterman Wood portrayed the rustic qualities of rural America, focusing upon the owners’ few treasured possessions as well as their practical accoutrement for day-to-day chores, giving the viewer a bird’s-eye look into past lifestyles and historical reference to technology, food habits, and furnishings. 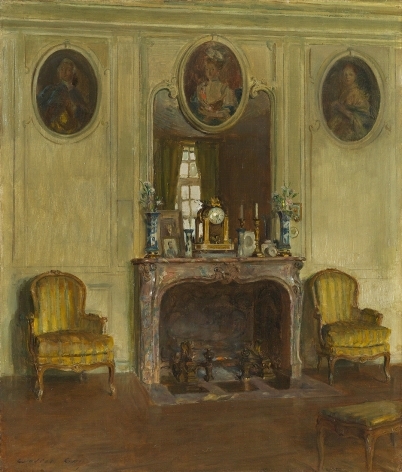 Walter Gay, a wealthy Bostonian who lived in France, took for his subjects the elaborate rooms of chateaus and Parisian salons. 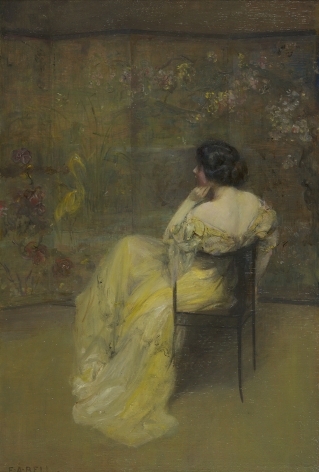 Impressionist artists like William Merritt Chase and Irving Ramsey Wiles delighted in painting their studios filled with props, artwork, and fabrics. 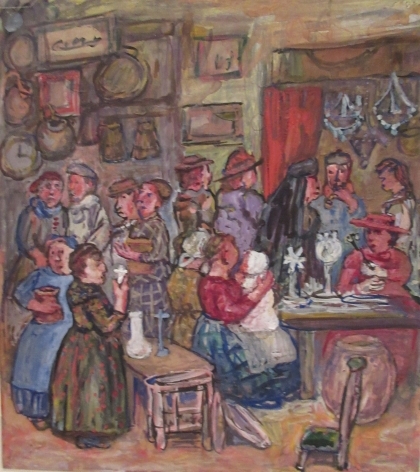 This tradition was also embraced by some of the Taos painters including Joseph Henry Sharp and Walter Ufer, who collected Native American relics. 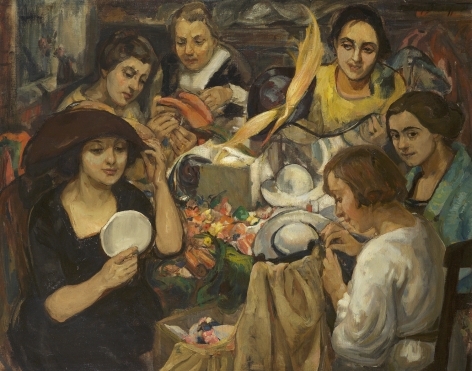 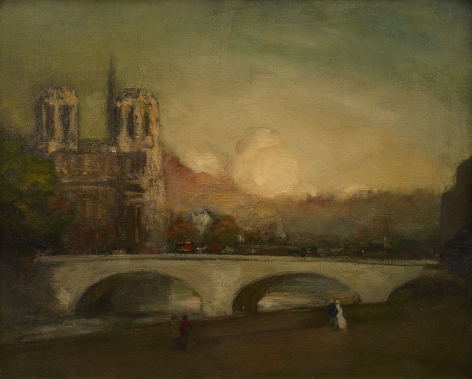 American artists were drawn to Europe for instruction at institutions like the Academie Julian and for first-hand study of the Old Masters, as well as current artists of the day. 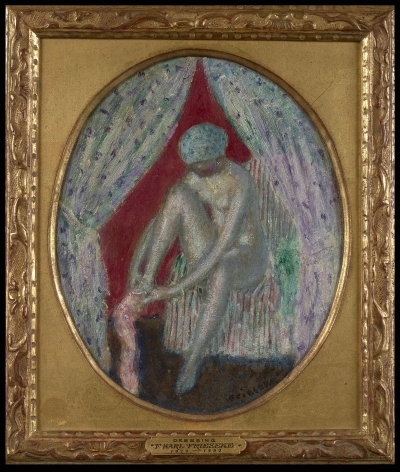 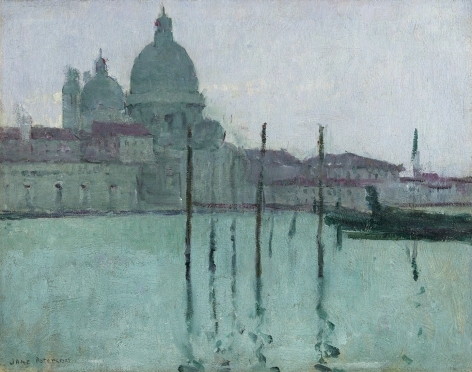 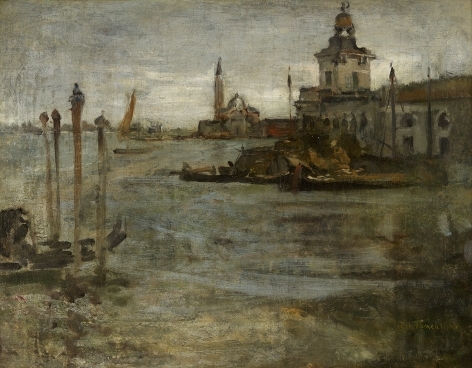 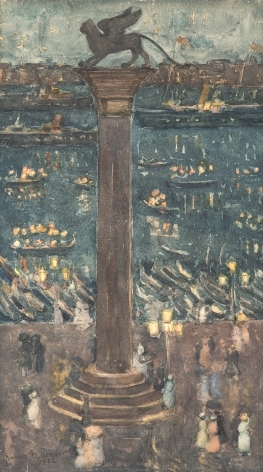 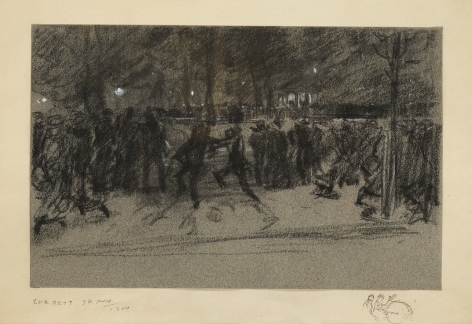 They headed to Paris, London, Venice, and Munich for inspiration, some visited only briefly; others like Childe Hassam and Maurice Prendergast went back and forth frequently; while others, such as James McNeill Whistler, John Singer Sargent, and James Jebusa Shannon, led more permanent expatriate existences. 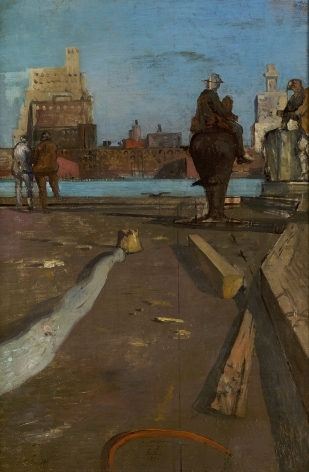 Their focus was the lifestyle of the leisure class, also captured by Hassam, Chase, and Prendergast Upper Class in their views of New York and Boston. 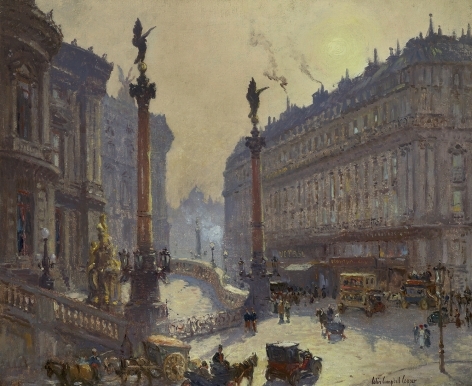 The industrialization and growth of cities such as New York provide an ever-changing backdrop for artists who arrived to study, pursue their careers, and eventually use this art-world capital as their home base. 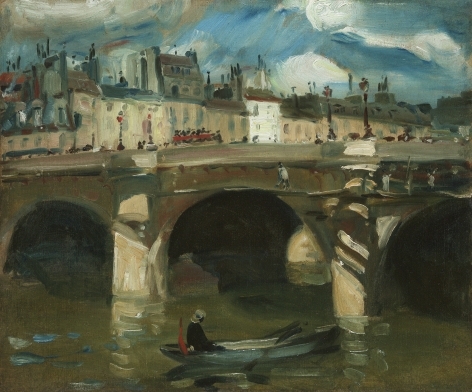 The Brooklyn Bridge, completed in 1883, became a popular subject, while the rise of the skyscraper from the late 1890s-1930s, the expanding harbor and commerce, and the urban sprawl of housing throughout lower Manhattan inspired Ashcan artists John Sloan, Everett Shinn, George Luks, and George Bellows. 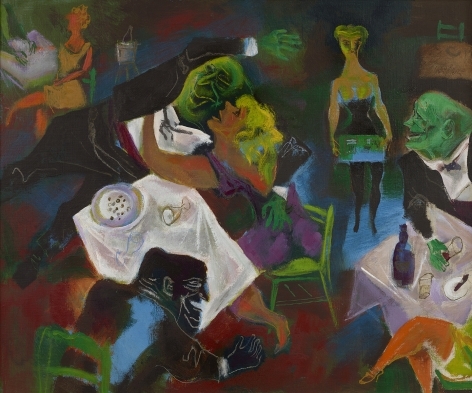 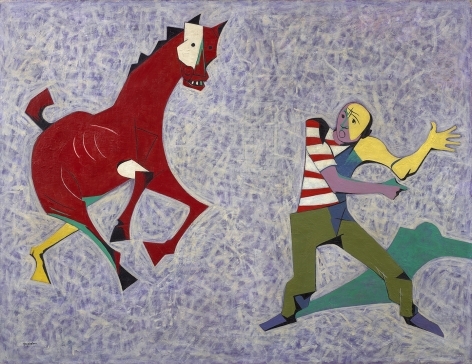 Modernists like Stuart Davis, Joseph Stella, and Max Weber, heavily influenced by Cubism and incorporating elements of Abstraction, created urban views in their distinctive styles. 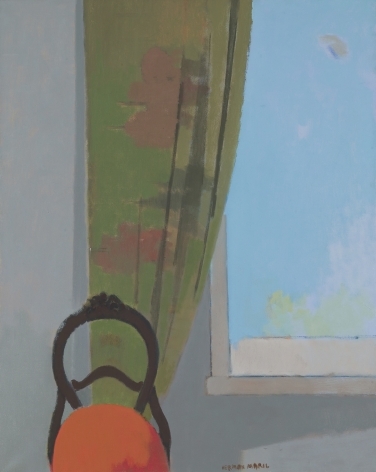 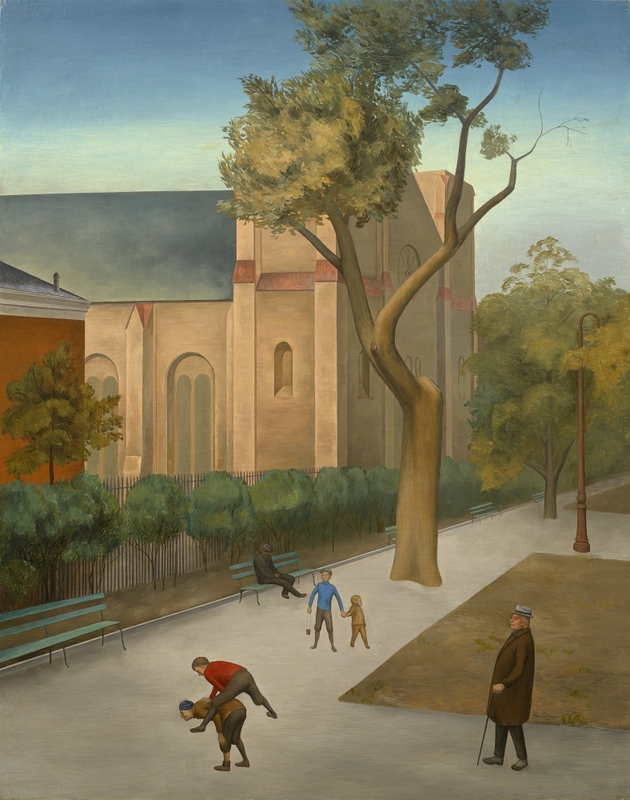 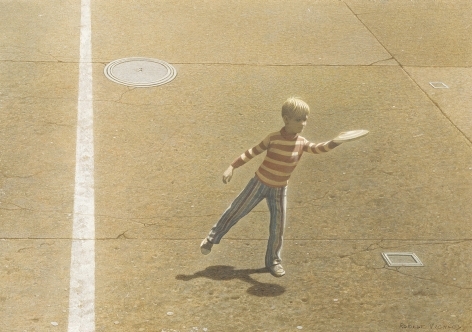 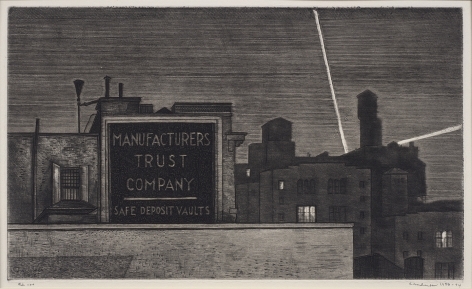 Precisionists like Charles Sheeler and George Ault did the same with their sharply linear and stark view of the City, while Surrealists like O. Louis Guglielmi and Peter Blume stretched their urban reality with incongruous imagery.